This summer, theatre-goers of all ages can look forward to exciting, free entertainment played upon stages across the greater Birmingham area in the Magic City Theatre Festival. Building on the success of last year’s festival, Birmingham Children’s Theatre (BCT) presents Alice in Wonderland, a world-premier adaptation by BCT’s Executive Artistic Director Brandon Bruce and Luke Schares, based onthe stories by Lewis Carroll. 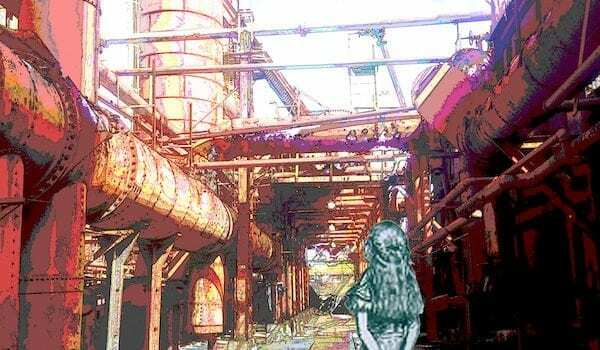 The Magic City Theatre Festival’s fresh take on this classic tale finds Alice in a post-industrial Wonderland, far from the Victorian rules and manners of her adolescence. Embracing the ever-lasting themes of curiosity, growing up, and finding identity, audiences young and old will find a little of themselves in the furnaces of Wonderland. Alice in Wonderland will play May 30th through June 2nd at Sloss Furnaces National Historic Landmark. With incredible support from the City of Hoover, Alice in Wonderland will then move to the Riverchase Galleria with performances June 13th – 16th in the Center Court. All performances of Alice in Wonderland will be available for free to the public thanks to generous support from the City of Hoover and the Hoover Arts Council, the Community Foundation of Greater Birmingham, the Caring Foundation of Blue Cross Blue Shield of Alabama, and Protective Life Corporation. “I’m particularly proud and grateful that the Birmingham/Hoover communities are supporting this so well that we’re able to offer the show for free. Birmingham is definitely experiencing a re-birth,” says Bruce. Tickets and further information about the show can be found as www.bct123.org or on Eventbrite (Sloss Furnaces and Riverchase Galleria). The Magic City Theatre Festival was created to provide exciting, high-quality summer entertainment for all ages. Expanding on their core values to educate, enrich and entertain, the Birmingham Children’s Theatre believes this festival creates an opportunity for the whole of the Birmingham community to engage with each other and these classic stories brought to life onstage.